Can anyone out there advise on which is the best version of Alice Sweet Alice AKA Communion on DVD? I am not bothered about extras, such as trailers or a commentary. Though obviously inspired by The French Connection and The Godfather this 1972 crime film also strongly recalls Machine Gun McCain. The reason for this is the presence of one of McCain star John Cassavetes frequent collaborators, Ben Gazzara. It’s a powerful scene and one which subsequent ones generally do not match up to. An exception is some fascinating documentary-style footage of heroin production in rural Turkey. Before we get to this point, however, the filmmakers introduce Gazzara’s character and the narrative in which he is at the centre. Gazzara plays a would-be big shot from New York, Joseph Coppola (note the surname), who has come to Turkey with the intention of masterminding a heroin deal that will take the drugs to Sicily, then Marseilles, then New York. With each new encounter, however, Joseph, finds himself being forced to take a smaller and smaller cut of the deal. Things get worse as the consignment nears New York, as an old enemy seeks to cut him out entirely. Gazzara gives a good performance, albeit as a character who is not particularly likeable. While the same could be said of the Corleone family in The Godfather we also have a sense of why they do what they do, along with indications their enemies are worse. Likewise though Popeye Doyle is an unpleasant racist we understand this to be part of a more complex, rounded character. It is true that the final reversal(s) re-contextualise what has gone before, but they come too little too late and still don’t give us much insight into Joseph’s motivations. On the plus side the film also features plenty of familiar Eurocrime favourites, including Luciano Rossi, Teodoro Corra, John Bartha and, most notably, Luciano Catenacci as a colleague of Joseph’s. 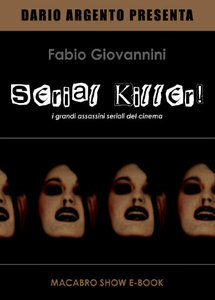 Interestingly Catenacci also has a production role, recalling Kill Baby Kill. In this regard, the film also benefits from good use of its locations. Ferdinando Baldi's direction is decent, but not particularly memorable. Not the best, nor the worst Italian crime film I've seen. Saddened to hear of Sage Stallone's passing. He was one of us -- i.e. a fan -- putting out the likes of The Beyond, Cannibal Holocaust, Cannibal Ferox and Massacre Mafia Style because he believed in them, regardless of their commercial potential. Based upon author Kate Egan's PhD thesis, Trash or Treasure presents a three-part, broadly chronological academic examination of the British “video nasty” phenomenon from the early 1980s to the early 2000s, highlighting the shifting and contested meanings attached to the films by various cultural and subcultural groups over this period. The first chapter examines the discourses employed by the British critical establishment, with Egan emphasising a general tendency to 'other' the assumed audience for horror films as “not like us”. She also notes the particularly anti-American nature of much of this criticism, through an examination of three case studies --- The Funhouse, Visiting Hours (whose Canadian origins are mentioned in passing, but not otherwise explored; an odd omission given that it was shot in Montreal) and The Evil Dead. Another important limitation of Egan's discussion, albeit one that is entirely understandable in the context of academic research, is that her focus throughout remains firmly upon that group of films originally classified as “video nasties” in the early 1980s. She is uninterested in seeing how the term subsequently became a floating signifier that commentators sought to attach to other films, such as Child's Play 3 or Natural Born Killers. The second chapter highlights contradictory understandings of the early 1980s, whether Kim Newman's golden age/plague years pairing or, more significant on a wider scale, that tension in Conservatism under Thatcher between economic liberalism and social conservatism. Egan indicates how this relates to the marketing strategies employed by companies such as Vipco, Go and Replay, in that they operated as ideal(ised) Thatcherite entrepreneurs should, but with a product that was beyond the pale as far as more traditional Conservative elements (Thatcher's “Wets”?) were concerned. This leads neatly on to the third and final chapter of this section, where Egan looks at the video nasty campaign as it emerged in the media, particularly The Daily Mail. Egan identifies the real or implied Daily Mail reader of the time as someone who was more socially conservative than economically liberal, or thereby not quite the (Althusserian interpellated subject?) Thatcherite ideal, whereby economic liberalism was privileged over social conservatism. In relation to this perhaps the most significant underacknowledged aspect of the video nasties campaign is that the first politician to raise their concerns was not a Conservative but a Labour MP, Gareth Wardell. This is of particular interest, insofar as it represents an area where Egan criticises Martin Barker's contemporaneous analysis in The Video Nasties (1984), in which Thatcher and the Conservatives tended to be presented as the prime movers in the affair, proactive rather than reactive. In contrast, Egan argues that the Daily Mail and its alternate vision of [C|c]onservatism were to the fore and that, following the failure of Wardell's campaign, the Conservatives then modified their position to be more like that of the newspaper --- i.e. political conservativism was prioritised over economic liberalism. Put another way it seems to be that the tail, The Daily Mail, wagged the dog, the Conservative party. The fourth chapter explores the particular position occupied by the UK horror magazines/fanzines Fear and, especially, The Dark Side in constructing fan subcultures and discourses around the “nasties” (two other unexplored titles are worth noting here: Samhain and Shock Express). Egan contends that (1990s) Dark Side constituted its identity in opposition to the (1980s-) US publication Fangoria, which it presented as too mainstream. While Dark Side was more mainstream than fanzines, its subcultural credentials were also established by discussing these publications. Curiously, given the US/UK element identified in the first section, Egan does not say much about whether the Fangoria/Dark Side distinction (at least from the latter side) has broader associations. She does, however, provide a compelling analysis of the role(s) played by the magazine's editor and public face, Allan Bryce, as gatekeeper / gamekeeper / groundsman of (a particular) subcultural know-how around the video nasties. This extends to Egan's reading of the magazine's small ads, whereby the reader-initiate was required to learn how to decode their particular shibboleths, whether the names of key directors (D'Amato, Franco, Fulci) or euphemisms (rare pre-certs), or Bryce's sometimes cryptic responses to readers' letters. The fifth chapter looks at online discourses, as found on websites and discussion forums, with an emphasis upon the (male) nerd/geek type and their (his, my?) struggles over subcultural capital and masculinity. I didn't get much out of this. Whether this was mostly because I reacted against it as a male nerd/geek type; Egan's own lack of personal involvement (there is never any indication of why she chose the nasties as a research topic, nor the kind of existential commitment sensed when reading something written by a “true” fan, that this film/these films really matter); the material appearing dated; the difficulties of examining a nation-specific phenomenon in a post-national internet context; that many academic debates are equally petty territorial pissings (the politics of X are so vicious precisely because the stakes are so small, to paraphrase Henry Kissinger); and/or being unsure that her sample was genuinely representative, I don't know. The issue of representativeness is also evident in the sixth chapter, where Egan provides a detailed analysis of collector “John's” particular approach to the video nasty --- or, more precisely, pre-cert videos with nostalgic associations. What is good about this chapter, besides Egan's provocative comparison of John's video collection with Walter Benjamin's library, is the anthropological “thick description” of John's learning and using specific competences in car boot sales to avoid being taken advantage of and to take advantage of others (the return of the repressed Thatcherite entrepreneur?). A major aspect of John's approach to the nasty is/was his specific interest in the original, authentic, video versions of the films. This leads into the third part of the book, where Egan looks at the re-release and re-evaluation of a number of nasties in the late 1990s and 2000s --- a period marked by the emergence of DVD over video (the VHS/Beta/Video 2000 aspect of collecting and rarity is neither explored nor mentioned, presumably because John had a VHS machine) and a new approach at the BBFC which allowed many previously banned nasties to be certificated, albeit often in cut versions. The seventh chapter looks at the retrospective marketing of the nasties, with a particular focus upon the Vipco label. Egan identifies Vipco (founded in 1979 and intermittently ongoing to the point where her research ends) as a company who sought to position themselves as the home of the nasties via a cheap and cheerful approach, this in contrast to their more upmarket rivals Redemption. The eighth and final chapter examines how selected nasties, most notably Last House on the Left, were re-contextualised as art works through their screenings in cultural contexts. Here, I remember first seeing Craven and Cunningham's film at one of these events, namely Edinburgh International Film Festival screening, where it was introduced by Mark Kermode. Part of the reason for this screening was supposed to be as part of a campaign aimed at getting rid of the VRA. While that didn't happen, one now wonders about it and the BBFC's relevance, except as burdens on UK-based distributors who want to abide by the law: They paid to get inferior (because cut) product certificated while UK consumers bought uncut versions from Ebay, Amazon and so on; if we did buy UK releases, it is because of unique material, perhaps itself engaging with the history of the nasties, as with Egan's discussion of the Anchor Bay's US and UK versions of The Evil Dead, where the latter drew upon the legacy of Palace's distribution and defence of the title in the 1980s.